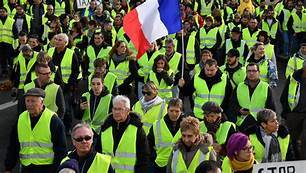 Mike McNair of the CPGB (Weekly Worker) has written a critical analysis of the Gilets-Jaunes protests in France. He suggests that the politics stemming from this movement could move both Right and Left. The SWP have published an open letter on Left Unity in the past few weeks. There is a reply from the Commune which the RCN is in broad agreement with. We reprint it below. We write in reply to your Open Letter to the Left of 9 June, on behalf of The Commune, a small, relatively new group, which stands for communism from below and workers’ self-management. We publish a monthly paper of the same name and are mostly active in London, though we have comrades across England and Wales. We welcome the spirit of the Open Letter, and would be interested to participate in discussions concerning left unity in general, or a conference in particular. Of course, you will understand, we have concerns – we are sure you do too. We want to be sure that the lessons of the Socialist Alliance and Respect have been learnt. In particular, we want to know what has changed – and it cannot be simply this or that personality – since packing meetings with raw recruits to block vote against independents and other groups was considered an acceptable tactic during the days of the Socialist Alliance. And we want to know what has changed since the Socialist Alliance was wound down at your behest, in favour of the Respect project. You cannot, after all, expect those of us who were involved last time to go through such disappointment again; to be shut out, or to have a project we have built tossed aside when the leading faction finds something more interesting to do. If your perspectives have changed, we can accept that: but we need to be convinced of it. We also want to be clear that when we talk about left unity, we do not mean simply left unity at elections, or anti-fascist mobilisations. What we are talking about, what we all need to talk about, is deep, thoroughgoing political work in communities, in which socialists join together locally, with trade unionists, community campaigners and across the political boundaries of the existing groups. The political content of the project will also be a matter for discussion. This is not the place to set down ultimatums. But, clearly, there is a relation between the real breadth of a formation and the extent to which we are willing to make sacrifices in the content of its programme. If a formation begins with a real base in the labour movement, is organised on a thoroughly democratic and militant basis, there is a case for certain sorts of compromise. And if it does not have such a base, so be it, we cannot always wait for such things. But what there is not, and has never been, any point in, is socialists voting to establish policy different from their own beliefs on the hope that, at some point in the future, more moderate forces will be drawn in (using accessible language is necessary, diluting principles is not). We must start by being honest about what we are, and build from there: whether in a distinct organisation, or as a radical platform in a broader one. Practically, we do not understand why, if you are serious about left unity, you sent no delegate to the meeting of the Left Unity Liaison Committee on 13 June to which you were invited. We were unable to attend ourselves, but as a group numbering fewer than 20, rather than in the thousands. We do want to believe your call is sincere, but we need to see evidence. The proposal of a conference is not a bad one. But in our view, a conference will not solve the real problem we face: that on the streets, and in the estates, in the suburbs and small towns, socialists are divided in action by the groups of which they happen to be a member. A project founded by conference resolution will not be able to draw in a wider layer, constitute itself democratically, begin real political debate, and fight an election within eleven months. So another, complementary, proposal is this: that all the main socialist groups, as well as any unions that can be persuaded to participate, organise a programme of discussion at a local level. Let delegations from branches meet each other; draw lessons from the past, and make proposals for the future. Let those proposals focus not merely on the next election – which is too soon for us to have anything but a very insufficient impact given our current disorganisation – but on the sort of work that can be done to build community and workers’ resistance at a local level, not only in the next year, but in the next decade. Let these discussions draw in campaigners and independents, and give each an equal voice. This is how the Socialist Alliance came together; steady local work in a number of areas. It is also the process which constituted the Nouveau Parti Anticapitaliste. We need to make that possible here again; and it is the groups with the largest numbers who have the greatest responsibility to do that, by freeing up their members to work with those of other groups, to find the forms of unity appropriate to local circumstances. To make gestures which erode the walls of mistrust built across the landscape of the left. Is a unified national perspective necessary? It is. But it must be based on something real; and to create that real something is the most immediate challenge. Initiate and support the setting-up of local Workers’ Representation Committees which can identify and promote candidates in elections who deserve workers’ support. This reflects a similar spirit to our proposal above. This work is the work of years, not of months. It is the work of the grass roots, not the central committees. Will you commit to this? Whether you do or do not, one thing is clear: the fascists have already committed to it, and will continue to commit to it, and that is why their support, if the recent elections are a barometer, was nearly three times that of the hard left.